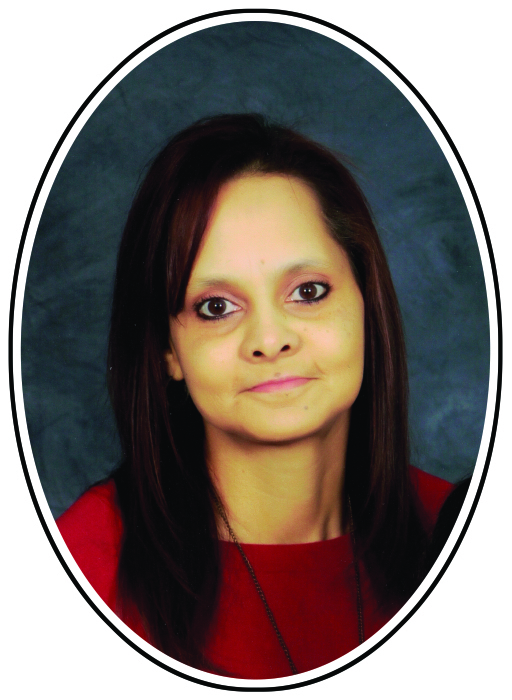 Carol Ann Strickland, age 49, of Pembroke, NC, was born November 18, 1968, the second child to Craymon Sr. and Nancy Strickland. She departed this life on October 20, 2018, at Southeastern Regional Medical Center in Lumberton, NC. Carol lived a life that was committed to her family, friends, and church. She was a proud member of the West Robeson Senior High School class of 1987. Carol even served at times as the family beautician (with the assistance of her beloved aunt Margie Spaulding). She faithfully attended St. Annah Freewill Baptist Church, where she sang in the church choir. Family was also central to Carol’s life. Although faced with many health challenges, Carol found a way to share her time and love with those dearest to her heart. She was a daddy’s girl, a caregiver to her mother, a supportive sister to Craymon Jr. and Terri, a proud mother to Jaleesa, protective of her energetic grandson Liam, a second mother to Tierra and Equistian, a doting aunt, and a cousin always in the middle of some Strickland shenanigan. Carol expressed her love for others, especially at times of grief, through poems and short stories that captured the essence of those for whom she fondly recalled. Carol was a daughter, sister, mother, grandmother, aunt, niece, cousin, and friend who always put others first in her life. She will be remembered and missed for these and many other unmentioned acts of kindness and love. Left to cherish her memory are: a daughter, Jaleesa Strickland, of the home; a grandson, Liam Strickland, of the home; her parents, Craymon Sr. and Nancy Strickland, of the home; one brother, Craymon Jr. (Amanda) Strickland, of Lumberton, NC; one sister, Terri Strickland, of Pembroke, NC; nieces and nephews, Sonyasha (Chris) Oxendine, Tierra Strickland, Equistian Strickland, Acerah Strickland, Natahlia Strickland, and Fionah Strickland; and a host of relatives and friends.